CHITRAL: 18 Candidates submitted nomination papers for NA-01 Chitral to be contest election of 2018. These candidates submitted their nomination papers at the office of district returning officer Additional district and session Judge Muhammad Khan. Former President General Retired Parvez Musharaf also submitted nomination papers through his counsel and district president of All Pakistan Muslim League Sultan Wazir. In previous election of 2013 Shahzada Iftikharuddin elected as MNA on APML Ticket from Chitra later on he changed his loyalty and joined Pakistan Muslim League Nawaz group. 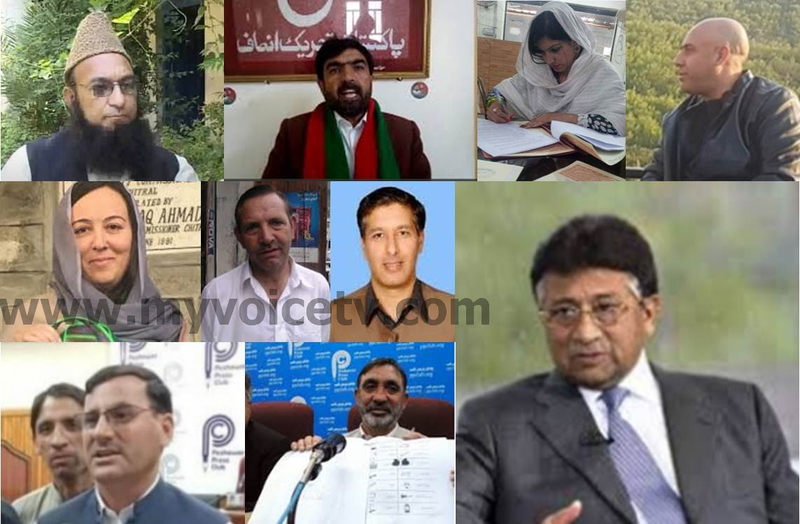 These candidates are Maulana Abdul Akbar Chitrali, Muhammad Yahya, Saeedur Rehman, Muhammad Amjad, Hizbullah, Eidul Hussain, Nisar Dastagir, former MPA Saleem Khan, Shahzada Muhammad Taimoor Khisro, Wajeehuddin, Hidayatur Rehman, Parvez Musharaf, Sultan Wazir Kha, Taqdira Ajmal, Iftikharuddin, Abdul Qayum, Abdul latif and Shah Abul Mansoor.